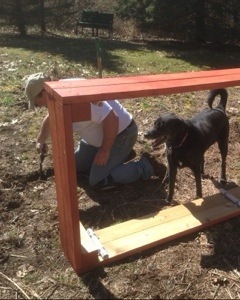 This entry was posted in Blog Update and tagged Eric, gardening, Trixie. Bookmark the permalink. I know :) Who can resist a freshly picked homegrown tomato? I can almost taste them now…can’t wait! And I followed you here from your comment on my blog. Oh my, you have a comic!! Amazing and a quilter, too. Hey, Kelly! I’m so glad you came to visit. I’m working to launch a small scale plant nursery this year, while working full time, so something had to give. It will all work out in the end. Quilting and cartooning give me the creative outlet that I, and most of us I suspect, need.